Do you often find yourself overwhelmed during Bible study time? Perhaps you feel so scattered and unorganized that it just seems easier to not put in the effort. Second, if you can relate, maybe you need Logos Bible Study Software! Logos is a software program that my husband and I have used for many years for our personal Bible study. Logos Bible study software allows you to dive deep into your study of Scripture without intimidation or confusion. I can honestly say I love this system, and today I’m excited to let you in on it! 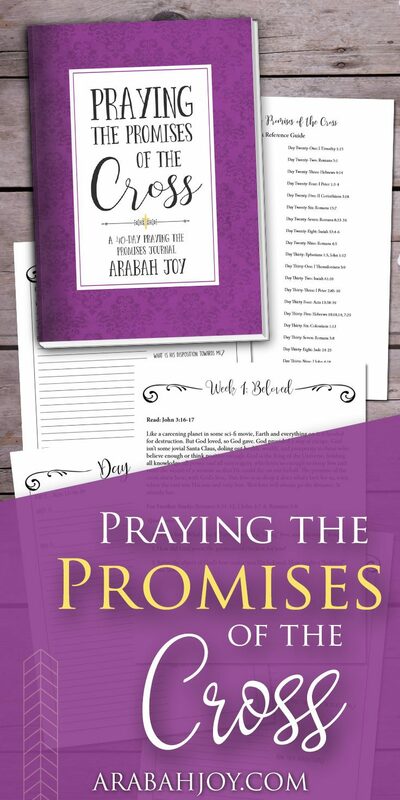 PLUS, the folks at LOGOS have offered readers of ArabahJoy.com an exclusive offer… so keep reading! Logos 8 is a powerful software tool that was designed to be your personal Bible study assistant. On the surface, Logos 8 is an online Bible study system that provides a Bible study library, commentaries, and even a powerful search engine just for the Bible. However, beneath the surface, you will find so much more. With Logos 8 you can take your Bible study to a whole new level, regardless of which Bible study method you prefer. You can follow a pre-written reading plan or create your own, easily keeping track of where you are. There are also helpful videos and multi-media presentations to help you understand the Word of God on a whole new level. What features make Logos 8 special? There is SO much to discover about Logos 8 that I haven’t even scratched the surface yet! Honestly, I’ll never use all the capabilities it offers and that is totally fine by me! What I WILL do is more than enough! 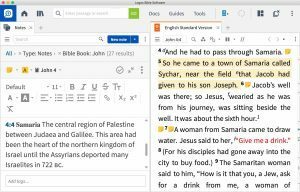 Here are some of the features I love about the Logos 8 Bible study software (and if your eyes start to glaze over, just remember that you don’t have to use everything for Logos to be worth using!). First, when logging in, the Logos Bible study software begins with an easy-to-use central dashboard. This homepage makes it easy to keep all of your work organized and easy to access. Your videos, reading plans, and frequently used books are all stored on the dashboard. You can even drag, drop, or delete items to personalize your dashboard, so it works for you. Change up your Bible reading with one of the many ready-made plans. Or create your own! Logos is a one-stop shop, offering tons of flexibility and something for everyone. Would you like to study word meanings? How about a particular person from the Bible or place? Logos 8 has you covered. You just choose the type of study and then Logos 8 will walk you through each step. Easy! At any point in your study you can choose to incorporate an original language word study, biographical study, or a geographical study into your research. The original languages of the Bible offer amazing depth and richness, and Logos 8 makes it easy! With the notes feature, you can easily jot down ideas and realizations as they come to you. This is invaluable in helping you understand the full picture of the passage, the book, or the Bible itself! And no more worrying about losing your notes or not having a journal handy. The Logos Bible study software notes will keep everything organized for you, allowing you to review, pull from past studies, and see patterns that can make God’s Word truly come alive. You can create charts or diagrams to summarize the meaning or events of a passage, or you can get creative by changing fonts, colors, and sizes of your text. Circle, highlight, underline, illuminate, it’s all up to you! You can even share what you’ve learned with others! 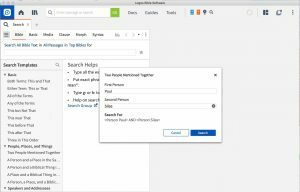 Logos’ powerful search engine, just for the Bible, adds a depth to your study like never before. Search topics that are important to you. Find what you are looking for quickly and easily with this powerful feature, putting knowledge at your fingertips. This is the core product here! 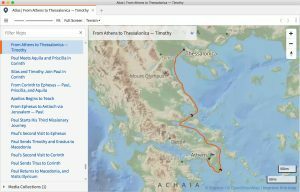 Are you intimidated by the thought of working with a Bible atlas, commentary, Bible encyclopedia, or other reference tool? Or are you comfortable with these resources, but you would rather not have to have a stack of books open all around you? Logos Bible software can solve both problems. If you are new to using Bible references, having them handy at the click of a button makes the process much easier. If you are comfortable with them but prefer not to have to bring them all off the shelf at once, Logos 8 has everything you need at hand! In the Logos Bible study software, you have commentaries, word study tools, and the ultimate Bible encyclopedia, just to name a few resources. However, you will also have access to an extensive theology guide! You can easily access trusted writings on any doctrine, concept, or teaching of Scripture. The theology guide will open with a summary of the idea written by experts such as Fred Sanders, Gerald Bray, or John Frame; it will then bring you into a deeper teaching on the subject, including cross references, an explanation of the doctrine, and related doctrines. The theology guide includes quick links to diverse perspectives on the doctrines and concepts discussed, so you will be able to read varying ideas on each and learn from them. You will also be able to see how the doctrines and concepts develop throughout the story of Scripture, rather than being restricted to a single passage. 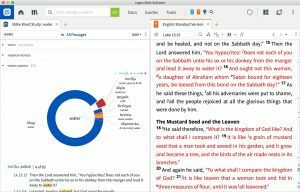 Logos Bible study software includes commentaries, a vast array of visual elements, videos, text comparisons, and timelines. Find everything you need to thoroughly study your Bible in this system. How can Logos 8 help me with my Bible Study? It’s Easy to Use – First, Logos 8 is a Bible study software that is easy to use and offers a complete picture of the Bible. 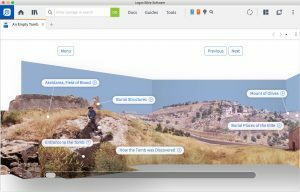 This feature means that you can quickly dive more deeply into any topic that interests you. For example, you can pick a Bible topic such as the woman at the well. You can first read the story of the woman in your favorite translation in the Bible. From there you can quickly view a commentary on the subject. Next, you may choose to view an atlas of Samaria at the time. You can dive even deeper by looking at the Greek or Hebrew translations on the text. Then you might create a timeline of the events, or pull out some visual images to accompany the study. You can even study the culture of Samaria at the time. Throughout the whole process, you can store all of your findings in the notes section, making it quick and easy to revisit any time you would like. 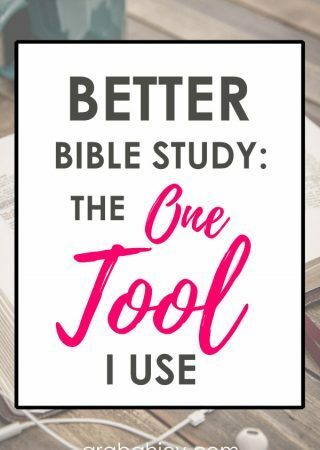 This is your Bible study, done your way. Logos 8 Keeps You Organized – In the Logos Bible software, everything is quickly and easily stored in one place. There’s no more looking for the Bible atlas under the bed or searching through endless books to find your favorite commentary. By placing everything at your fingertips, Logos 8 makes it more likely that you will actually use the resources you have. Plus the endless stacks of Bible study books in your home library will be a thing of yesterday. Logos 8 Saves You Time – By having everything at your fingertips when you need it, your Bible study is faster, and you will be more likely to dig in depth to the Word of God. Logos Bible study software is also available on any device, meaning that you can take it with you wherever you go. This makes it easy to dig into God’s Word while at an appointment or traveling. 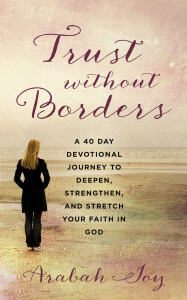 Suddenly wherever you are, your Bible study is there too. I love it!! Are there any cons to the Logos Bible study software? In my opinion, there are two considerations when thinking about Logos 8. The first is price. You’re basically buying a Bible study library, and libraries require an investment of some sort. However, this is an investment in one of the most critical areas of your life, so you can be sure this is one that counts. Logos 8 DOES offer a wide variety of packages that can be fit to your specific needs and budget, as well as a payment plan option. For most lay students, I recommend starting with the Starter package, which is designed for personal devotional study. With this package you get over 315 books! NOTE: Don’t miss the exclusive offers for readers of ArabahJoy.com– see below! The second consideration is time. If you like the idea of using Logos for your study but aren’t going to take the time to actually use it, it isn’t a good investment. Sounds common sense I know, but Bible study isn’t quick. It takes consistent time. So be honest with yourself and if you can make that commitment, then Logos just might be for you! EXCLUSIVE OFFER! LOGOS is offering my readers a special offer and 10% off any library package you choose! To get this special offer, visit our “secret page” here. Limited Time BONUS offer! 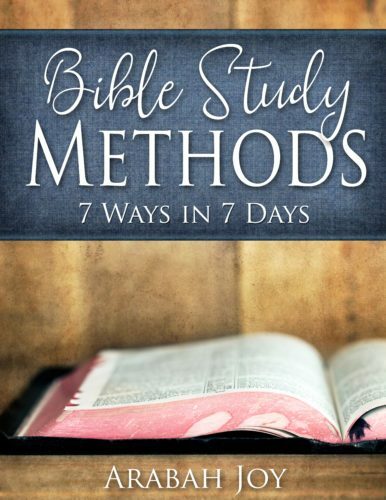 Now through December 31, 2018, when you purchase a LOGOS package by clicking my link here, I’ll send you my Bible Study Methods: 7 Ways in 7 Days course for free! Yup, another set of tools in your tool chest as my way of saying thanks. 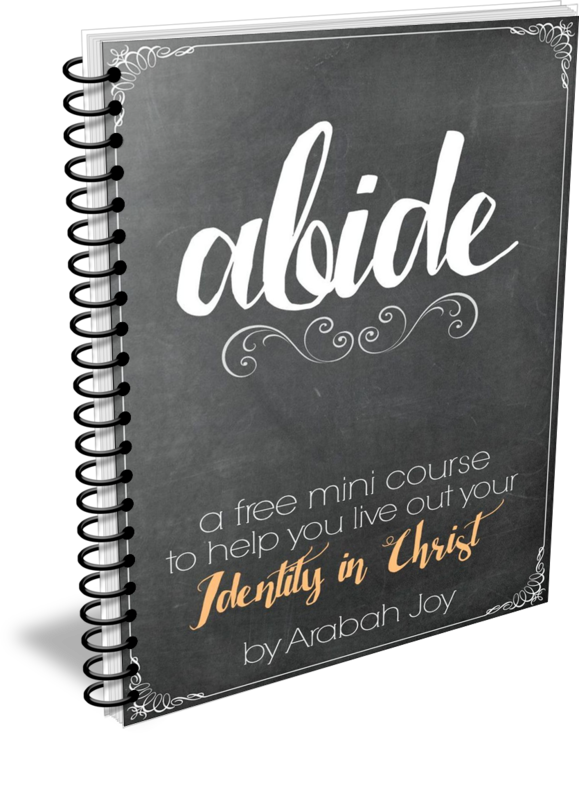 Just email me a copy of your receipt to ( arabahjoy @ arabahjoy (dot) com ) and I’ll send it right over. So don’t wait any longer! If you’ve read this far, you’re a great fit for Logos Bible study software! 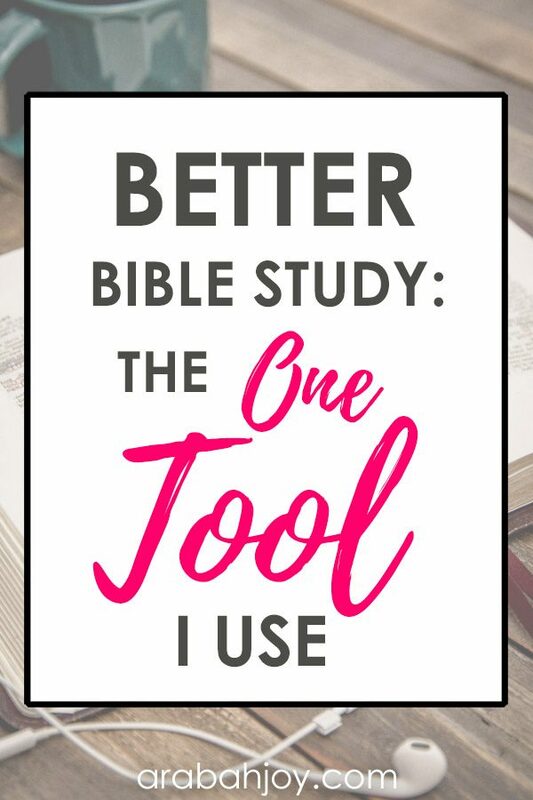 Check out this innovative way to study the Bible and begin discovering how fun Bible study can be!